By 2015, self-balancing electric unicycle became widely popular in the United States, following numerous celebrity appearances with the device. There is no universally accepted name for the device, as its various product names are attributable to the companies, which distribute them and not their manufacturers. In 2013, FOSJOAS entered the self-balancing electric scooter business and produced more convenient and intelligent transportations. FOSJOAS appreciates and encourages its delighted customers sharing their using experience and personal tricks with friends and value their kindly advices and suggestions for continuous improvement of its products. As the FOSJOAS self-balancing electric scooters expend all over the world, the new usage and functions are more and more. Some use it as the entertainment vehicle and others use is as a channel for work-out. Merlin, a manger of a large golf course felts obliged to find a solution to the commuting issue of the visitors and staffs. What’s more, this kind of electric scooter was eco-friendly and suitable for inner room and golf course-like occasions. After buying 20 sets of FOSJOAS two wheel self-balancing electric scooters, including U3, K3 and V9, his golf course business is more flourishing. The two-wheel design enables U3 2 wheel electric scooter, K3 saddle-equipped electric scooter and V9 double-wheels electric scooter to be controlled easily and almost all can ride it as long as he stands on it. Unlike single-wheeled intelligent scooter, U3, K3 and V9 bring a lot of convenience to the riders. Both the visitors and staffs like them very much. They not only think highly of the electric self-balancing scooter, but also earn a sound reputation from them. Fosjoas is dedicated to developing the most appropriate means to facilitate daily commuting with latest technology, which will be carried through its new product lines. 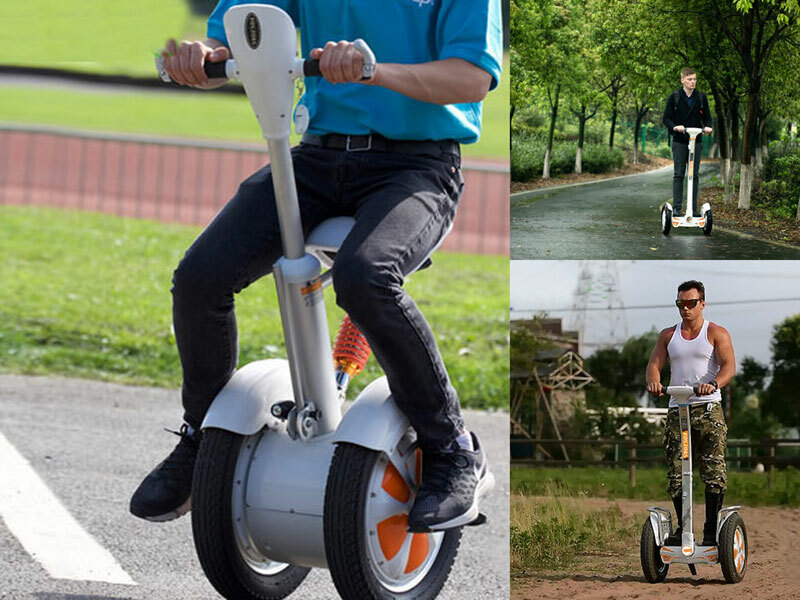 It is believed that there will be more and more new applications of Fosjoas intelligent electric unicycle self balance. Previous：How to Enjoy Freedom Offered by Fosjoas V6 Electric Unicycle?